Our STI started its life with humble beginnings. 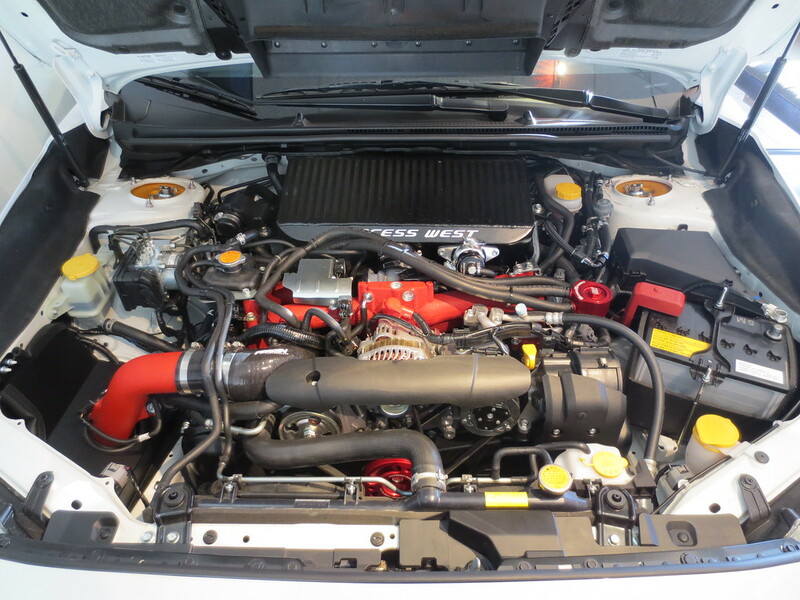 Once we broke it in, it did not take too long until we started to throw on the mods! Naturally the first thing we wanted to do was to get a bit more noise from this beautiful car. 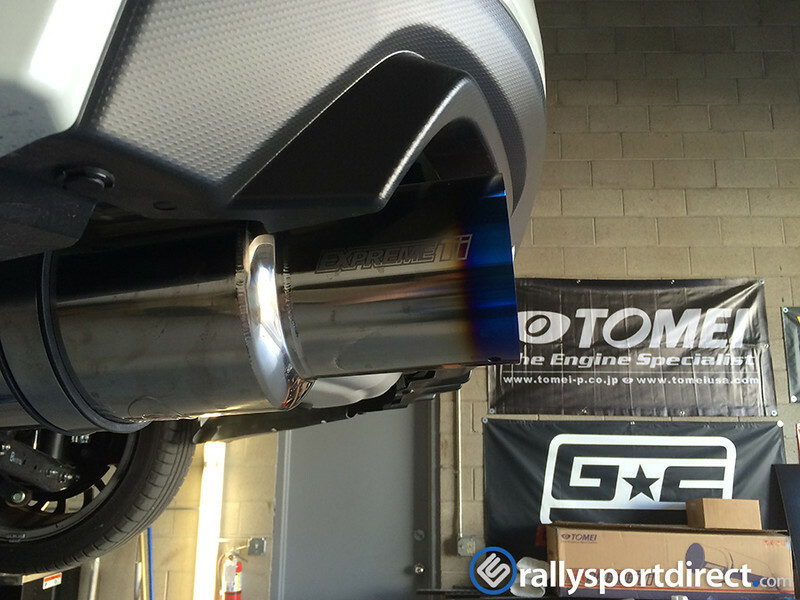 We have always been a fan of the Tomei exhaust, so naturally we felt like it would be a great exhaust on the car. 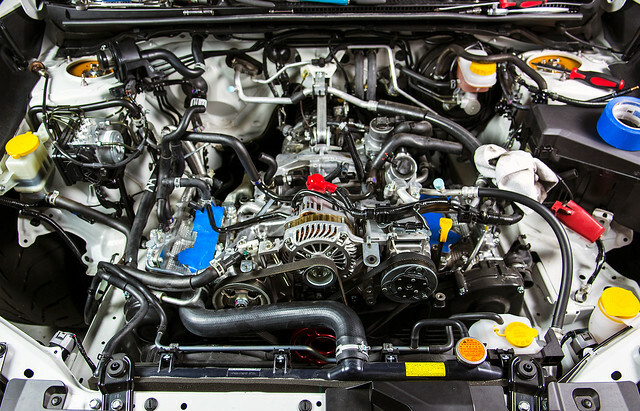 Once we had a bit more noise from the backend, we wanted a bit more from the front end too, and to also help keep the charge cool while we were blasting around. 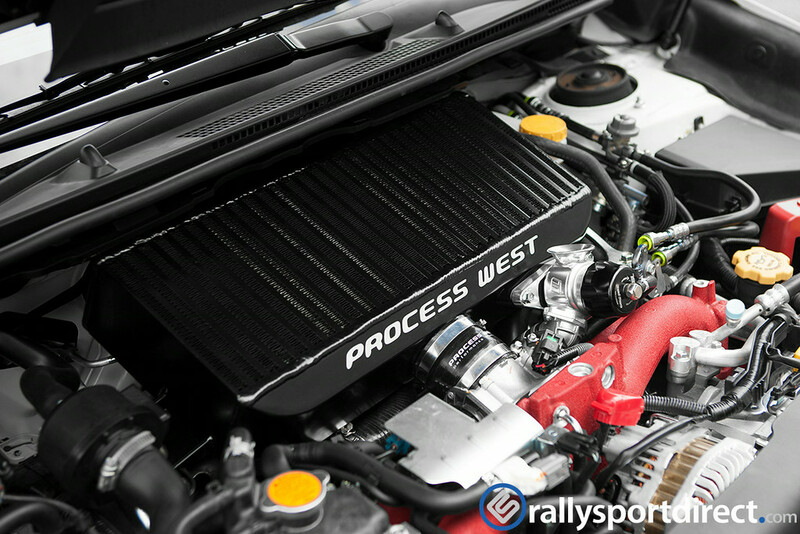 The Process West Intercooler was something we wanted to keep things cool and to support further power, and the Turbosmart valve was for a bit of fun and noise and they are also bomb proof. 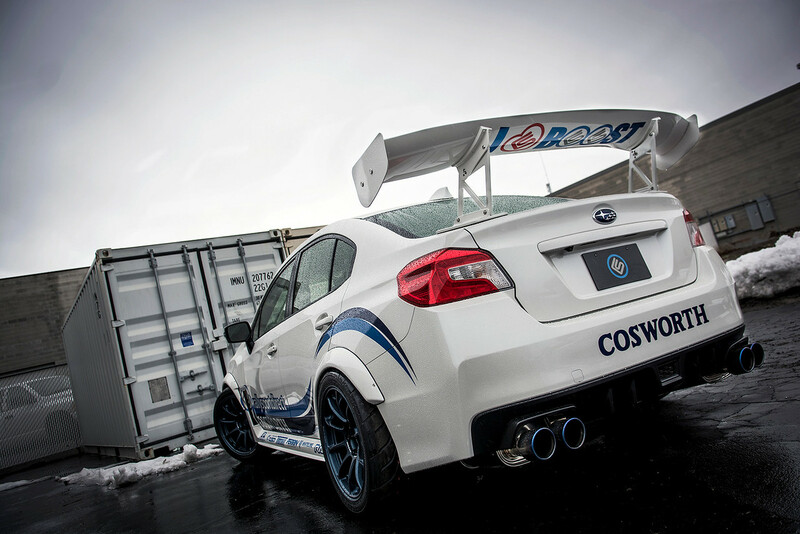 Now we can move onto a bit more power and of course our go-to easy power is the Cobb Accessport. Took all of about 5 minutes to install. 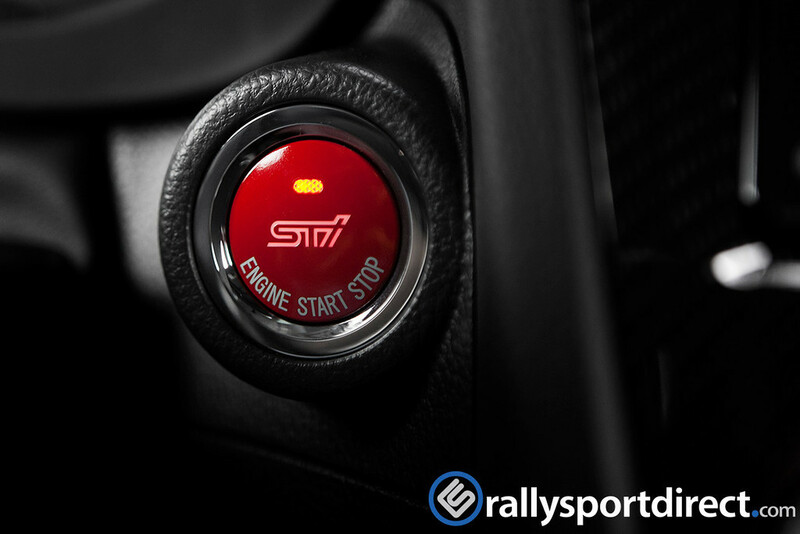 With my personal love for all things JDM, I had to beg and plead, but I got my wish for something I wanted to do since I first saw it, the JDM Push button start. Such a small but perfect addition to the interior. As time goes on, you start to get a bit bored of the power and want some more. We felt like the AEM intake along with the Grimmspeed AOS would scratch that itch for a bit, and it did just that. A keen eye will notice something in the above picture. 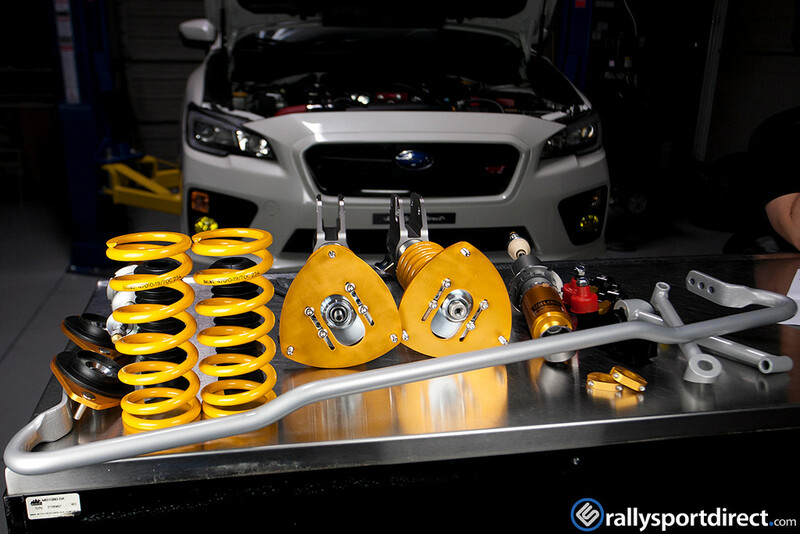 Well turns out our itch was a bit more than we had thought and went a bit nutty on the suspension. 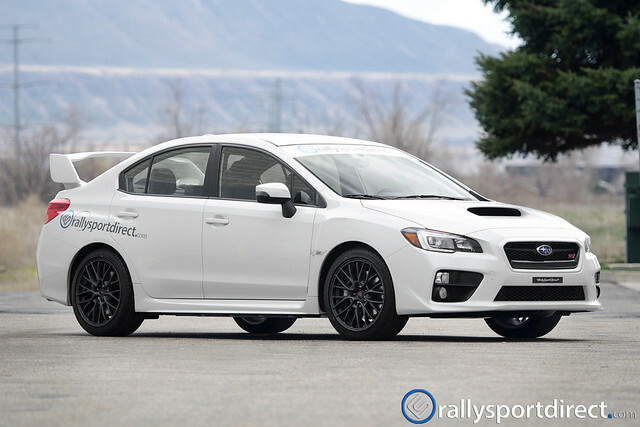 Between the Ohlins coilovers and the Whiteline Swaybar I would say we greatly improved the cars handling and responsiveness. 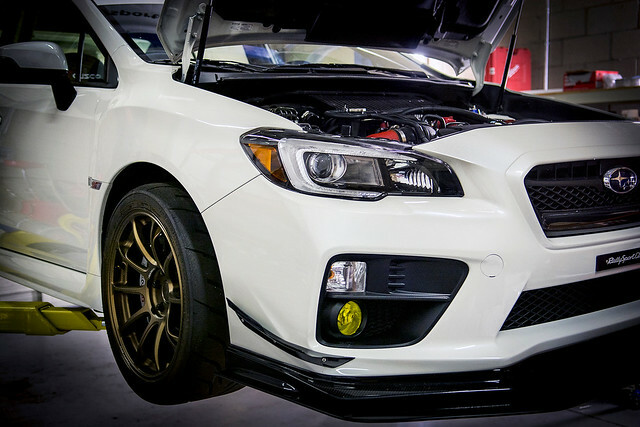 With the STI nicely lowered, we cant just roll around on factory wheels and tires and still expect people to respect us, so we quickly rounded up something worth of our STI, and what’s better than some Volk ZE40’s along with Toyo R888 tires? Now one of the biggest problems when you have a ton of grip, is that now you feel like you need more power to go with all that grip! 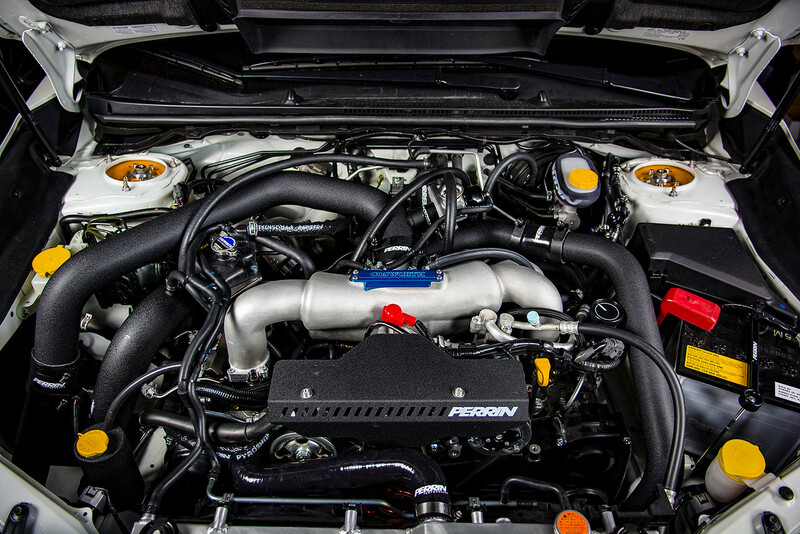 Cavalli was nice enough to send us out one of their Stage 3 turbos for us to try and we decided to feed that turbo with a Tomei EL header and let the exhaust dump through a Grimmspeed Catted Downpipe. With this setup we made 401 WHP and 371 WTQ. Not too shabby for not pushing it as hard as we could, remember we are still on a stock engine. Okay, now we have the power, and much like a teeter totter, you kinda always go back and forth, so naturally it’s back to handling. Our friends at Cusco send us a package full of more goodies than I could handle. I felt like a kid on Christmas. 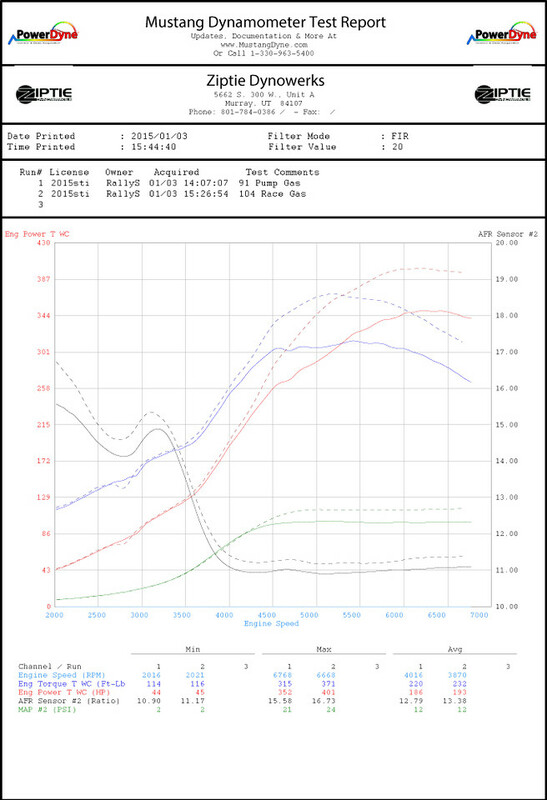 Well the car was a blast with that setup, handled incredibly well and made good power, all was good right? Wrong. I was notified that the car would be going to SEMA and was told to make it “SEMA ready”, which means the car really needs to stand out. This completely changes the mod path and we had to do it quick too. 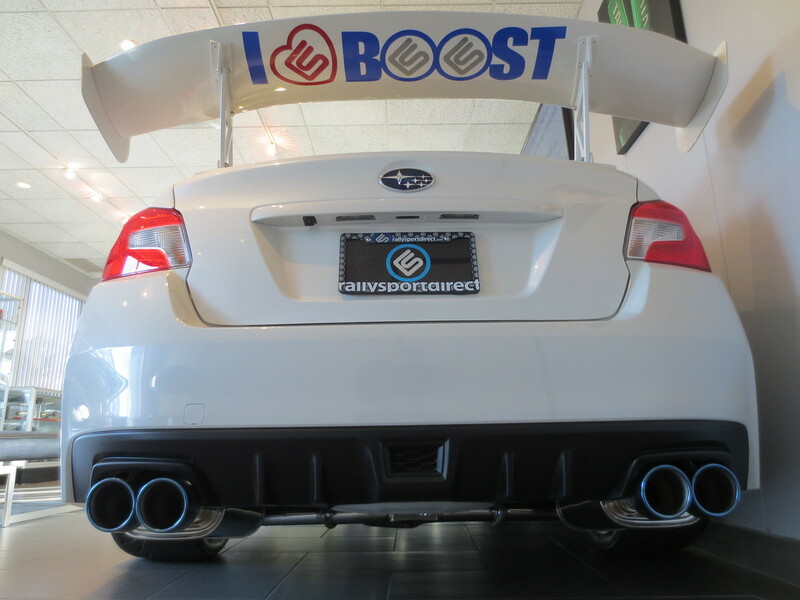 A call over to APR is always a good idea in this situation and they were able to hook us up with their brand new GTC-300 rear wing and front lip for our STI, needless to say we were incredibly pleased with the results. 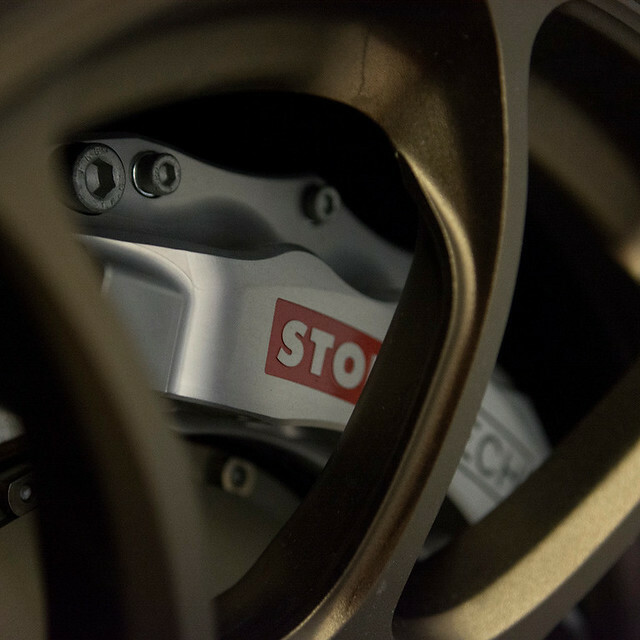 Along with the beautiful APR parts, we wanted to make sure the brakes would be up to SEMA spec as well and opted for the gorgeous Stoptech Trophy Big Brake Kit. 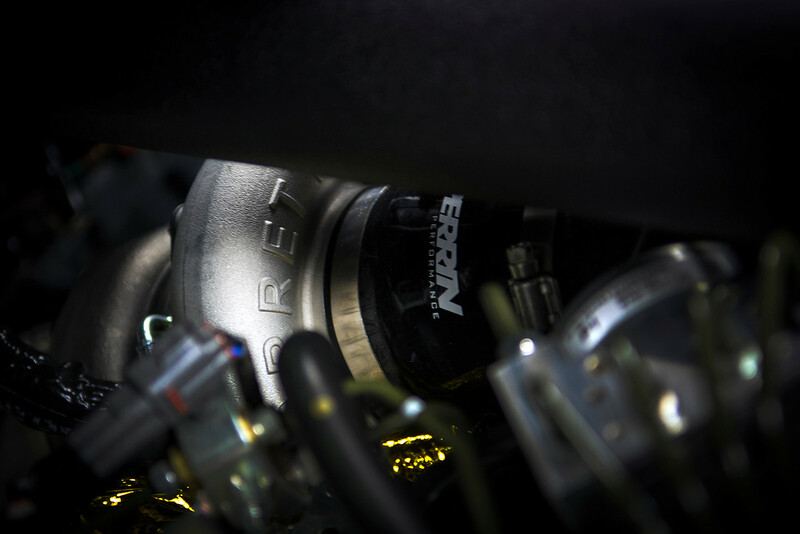 So now that the brakes were taken care of, what else do we need for SEMA? the answer is always stickers…. lots of stickers. 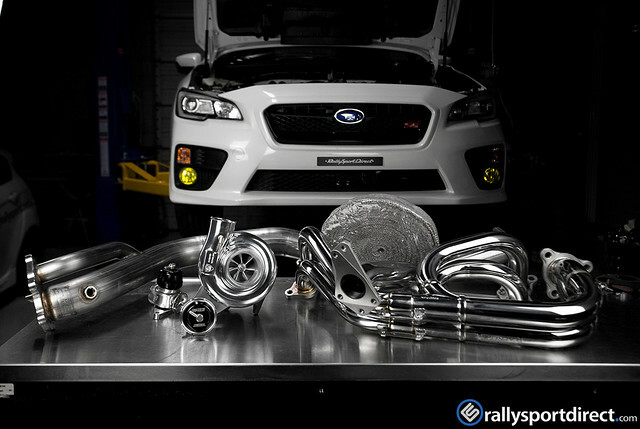 So what did we do after SEMA? 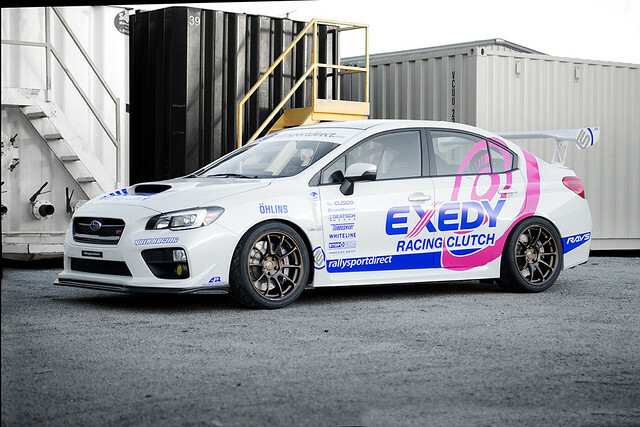 Well we had a bit of fun with the car, but this time we knew well in advance that the car would be back at SEMA again in 2015 so we had some time to prepare for that. 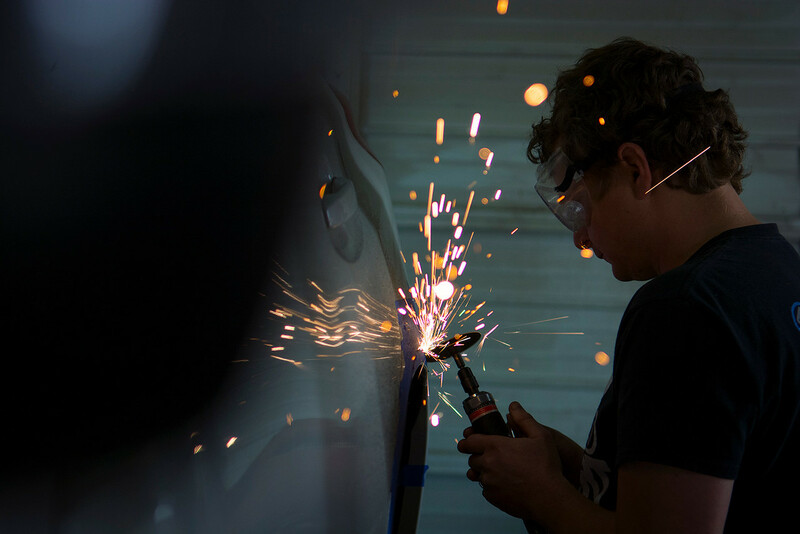 We wanted to make sure the car was different from the previous version and the first step was a bit of exterior modifications. 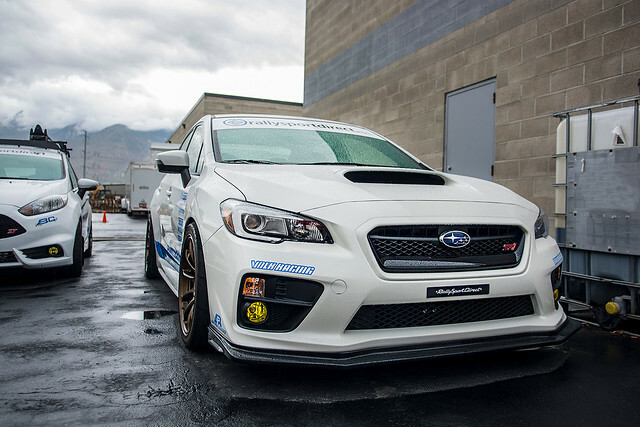 We again reached out to our friends at APR and asked them to make us a custom splitter for their lip we had installed. We also wanted to install their brand new Canards they had released. We thought it looked amazing! Even with that we wanted to do something a bit more wild. 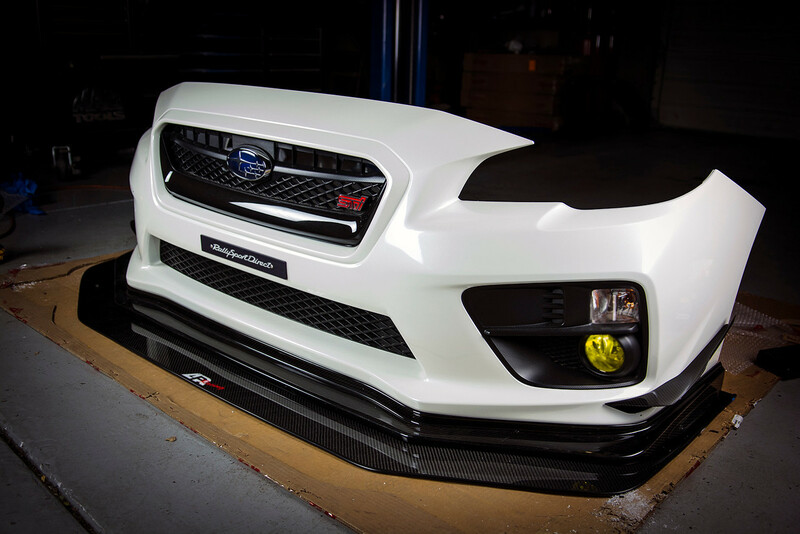 After searching around I found that HT Autos had released their fender flares specific for the 2015’s and we had them ship us the first set they had available. With fender flares you always have to do that one thing you never want to do on a brand new car, cut into the pretty fenders. The cutting was not that bad and the end result was well worth the effort and anxiety. 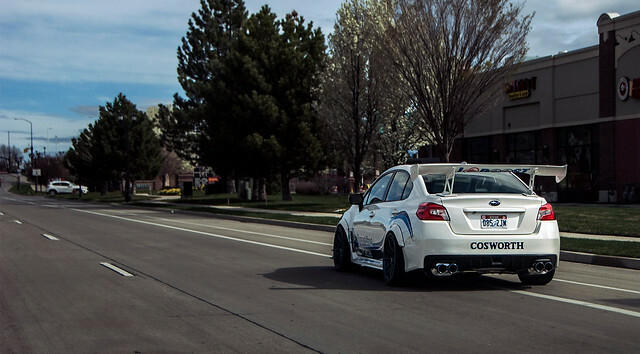 We also decided to run more aggressive wheels and tires to help fill in those large fenders. Wider ZE40’s and another set of Toyo R888’s did the trick. Now that we had a ton of tire and grip, and going along with the teeter totter ways, we decided it was time to give the engine bay some love. We reached out to Perrin performance, and what went from asking about their turbo kits, we had bitten off a bit more than we could chew… almost. 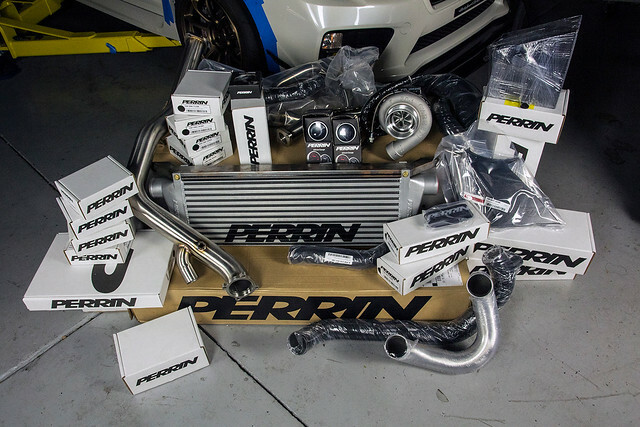 Needless to say, we got just a *few* Perrin products. 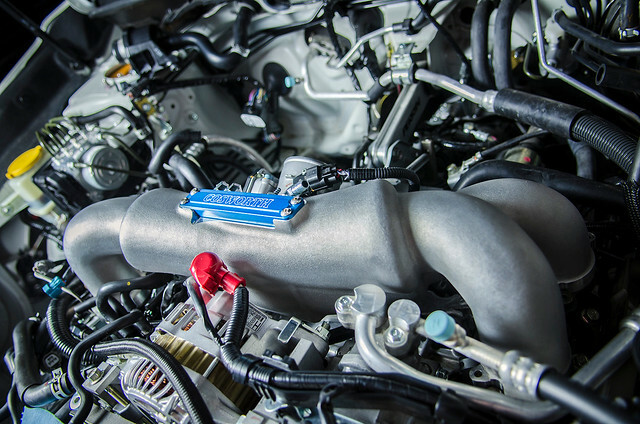 We also wanted to make sure we gave the engine every opportunity to breath easily, so we reached out to Cosworth and purchased their Intake manifold to make sure we had enough plenum volume for the whole system to breathe. Getting ready for the install.